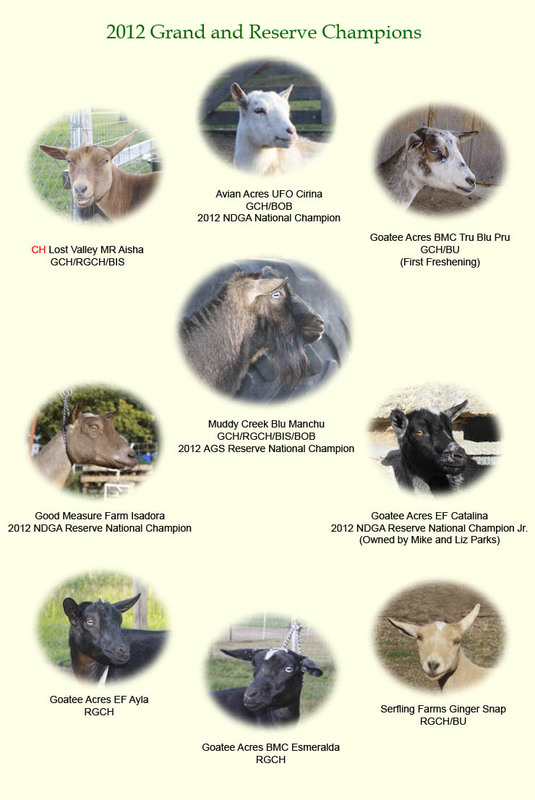 Goatee Acres is a small herd of Nigerian Dwarf dairy goats. The goats I've selected to start my herd come from bloodlines that have proven themselves time again. My goal is to raise show quality animals that have well balanced conformation and functional mammary systems for producing sweet, fresh goat's milk. I also want to have a wide array of colors! Brown eyes or blue, the possibilities are endless, no two are the same. The variety of colors set the Nigerians apart from all other goat breeds--that and their perfect size. They make wonderful pets as well. I can't imagine not having a wether following me everywhere helping me do chores. The benefits of raising Nigerian Dwarves are endless. Goatee Acres is in Muscatine, Iowa with Illinois just on the other side of the Mighty Mississippi. All goats will be or can be registered with the American Dairy Goat Association, the American Goat Society, and the Nigerian Dwarf Goat Association. Herd is Negative for CAE and Johnes as of October 2011.